Yes, you heard it right, Node js is rewritten for Android. In this post we will discuss about the features included and provide you link for download as zip and tar.gz. 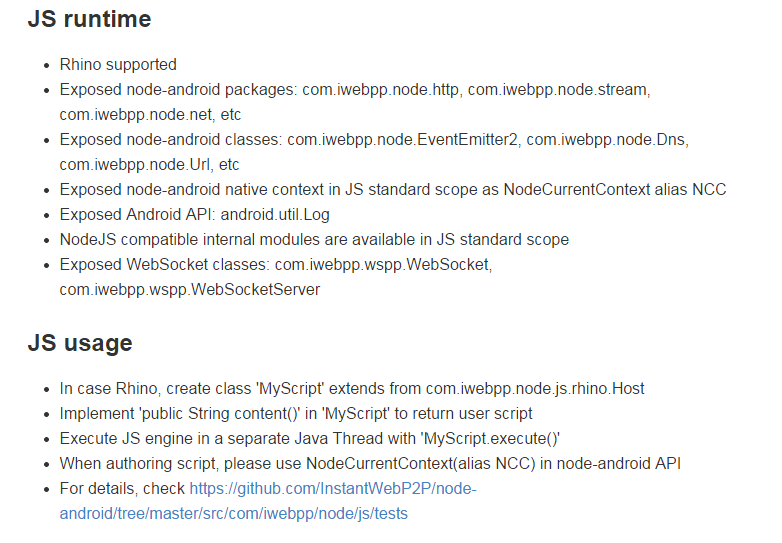 Node.js rewrite for Android with the compatible API, where third party are libuvpp, libuv-java JNI code by Oracle.